Cycling Canada Cyclisme competing. Photography by Diego Sinisterra. This organization is responsible for managing provincial and territorial teams, hosting national and international events, and administering community programs to promote cycling in Canada (“Cycling Canada Description”, 2018). Cycling Canada is the umbrella organization of 10 provincial and 1 territorial federations or associations (Figure 1). Each provincial and territorial governing body contains their own unique variety of memberships and events for athletes. Available memberships can vary from coaching, novice participation, competing solely at provincial level, or racing for national championships. Athletes who wish to compete nationally and internationally are first trained in provincial and territorial teams in order to advance to higher skilled leagues (“Provincial / Territorial Cycling Associations”, 2018). Cycling Canada has created various programs for bikers of all ages and skill levels in order to encourage strong nation-wide cycling communities. For instance, the CAN-BIKE program offers “a series of progression courses taught on all aspects of cycling, to ride safely, effectively, and enjoyably on the road” (“Who We Are”, 2016). Another program is Let’s Ride!, which targets “novice, pre-competitive cyclists at the community level” participants who are in early training or are in the training stages of long-term athlete development (LTAD), or around the age of 6–12. Meanwhile, Ready to Race! compliments the Let’s Ride! program, which targets training for “coaches who will primarily work with new competitive cyclists at the community and club level” (“NCCP Programs Description”, 2018). Aside from the participation of athletes and recreational cyclists, this non-profit organization is reliant on the contributions of the Canadian public. Examples of involvement includes recruiting volunteers, encouraging fan and spectator attendance, sponsorship, and accepting donations, which goes towards “5 targeted investment areas: coaching, training, competition, sports science and equipment” (“We Need Your Help”, 2018). Figure 1: Cycling Canada Cyclisme’s current mark, and all eleven provincial and one territorial federations’ or associations’ current visual identities. From this mission statement, it is evident that Cycling Canada aims to be a competitive cycling nation by celebrating enhanced international success, increasing national participation, and world class event hosting. They envision a “leading cycling nation, consistently celebrating international competitive success” (“Vision/Mission/Values”, 2018). 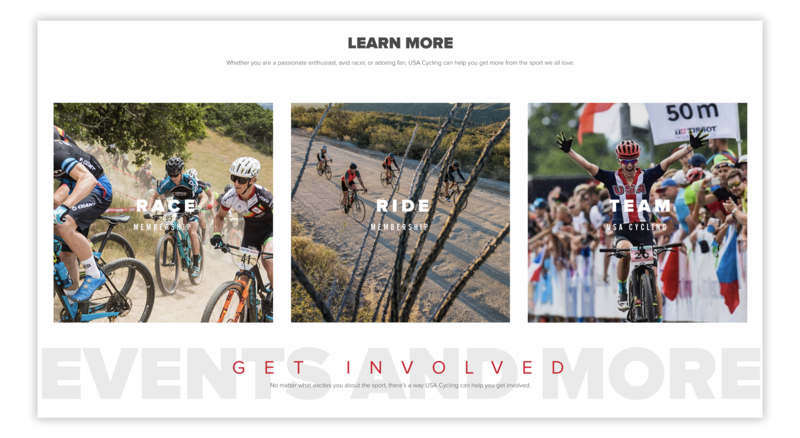 While the organization does not have definitive tagline, they have created two campaigns which use their own slogans and are usually accompanied with the Cycling Canada brand. Their most recent campaign, known as Hop On Canada, uses the tagline of “Become part of a leading cycling nation” (“Hop On! — Cycling Canada”, 2018). Their other campaign, known as Race Clean, uses the slogan of “Own your victory”, and encourages a drug-free cycling community (“About — Race Clean — Resources”, 2018). Grow the human capital and discretionary funding necessary to achieve strategic goals. Consolidate and strengthen the national structure enabling coordinated initiation and progressive development of cyclists. Enhance and expand the system of professional-quality support for Canada’s competitive cyclists. 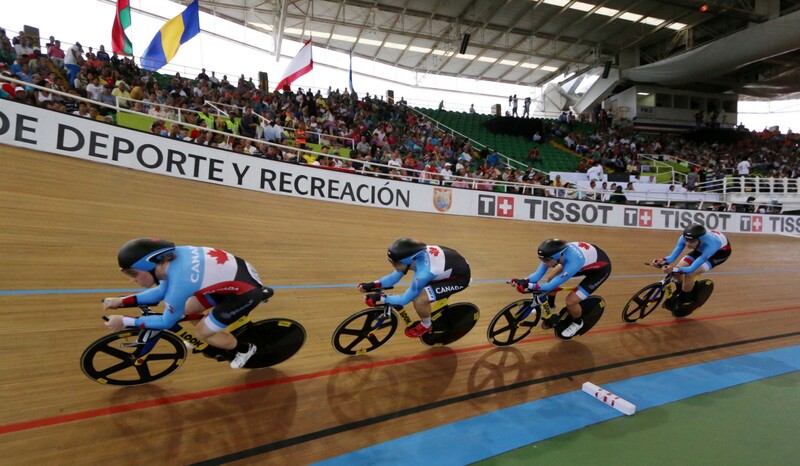 Move Canadians to take pride in Canada’s national cycling team and their accomplishments. The Montreal Bicycle Club, founded by A.T. Lane and a British immigrant in 1878, is known as the first bicycle club in Canada. The founders formed laws and created official badges and uniforms to be worn by members. In 1880, the League of American Wheelmen (LAW) was formed and stated that all members of the Montreal Bicycle Club were required to join. After joining, the Montreal Bicycle Club saw themselves as not only recreational bikers, but also advocates for cycling issues. In 1881, the Montreal Bicycle Club decided to join with the Montreal Snowshoe Club in order to train on their lacrosse facilities. They later united as the Montreal Amateur Athletic Association (MAAA) and purchased a Montreal gymnasium for each varying sport. While Montreal originated the bicycling scene in Canada, most Canadian bicyclists were located in Ontario. As the sport increased, bicyclists felt that it was crucial to develop their own national cycling association and build a unique identity. In 1882, the Canadian Wheelmen’s Association (CWA) was born in St. Thomas, Ontario. It was later renamed as the Canadian Cycling Association, in an unrecorded year. The Canadian Cycling Association was formed to “protect cyclists’ rights, promote bicycling, and organize championships”. The association is now a founding member of Union Cycliste Internationale (UCI), which is a governing body that represents over 170 National Federations with millions of cyclists of all skill range. Around the 1890s-1900s, bicyclists have shied away from bicycling competitions and participation due to safety concerns. As a result, the LAW and MAAA, and automobile companies were forced to create shared road safety campaigns (“History”, 2018). The grown interest of bicycle racing boomed again in the 1960s. Quebec developed paved roads, modelled after the Tour de France, and hosted the 1974 World Cycling Championships. From that point on, many Canadian cyclists competed nationally and internationally, even achieving world recognition at many events such as the 1984 Olympic Games, 1986 Tour de France, and 1987 Pan-American Games (Smith, 2018). On May 23, 2012, the Canadian Cycling Association was rebranded as Cycling Canada Cyclisme. Today, Cycling Canada Cyclisme is the main governing body of 10 provincial 1 territorial federations or associations (Figure 1). Each provincial and territorial governing body contains their own unique set of community events for recreational bicyclists, and maintaining a competitive edge with championships, and training for athletes of different sports and skillsets (“Provincial / Territorial Cycling Associations”, 2018). Cycling Canada’s current logo (Figure 2) shows “a heritage maple leaf with a representation of a cyclist within the maple leaf, [which] brings back the endless memories of success by Canadian cyclists around the world.” Their rebranding aims to “inspire the nation and motivate youth to take up cycling” and “comes at the right time … well into the Vision 2020 goal to be a leading competitive cycling nation by 2020.” They state that their slogan as of 2012 is “Pedal to the Medal”, but they do not have any visual branding that uses this (“A NEW ERA BEGINS…”, 2018). The current Cycling Canada brand uses nationally known Canadian flag colours, red and white. With the accompaniment of Canadian colours, the merchandise will either use accents of black, sky blue, or both. However, the logo is restricted solely using red and white, which can be inverted between background, maple leaf, and the central cyclist icon. A slight black gradient is either used on the back or within the leaf, or both. With regards to the visualization of the cyclist on the bicycle, the “swoosh” method is used to depict the idea of motion whilst cycling. The sans-serif wordmark underneath the logo is bilingual and shares the word “Canada” in the centre. “Cycling” and “Cyclisme” is italicized and used in the same line together. The word “Canada” is sometimes used in a different colour than “Cycling” and “Cyclisme”. Figure 2: Evolution of the association’s branding, from The Montreal Bicycle Club, the Canadian Wheelmen’s Association (CWA), the Canadian Cycling Association, and finally, Cycling Canada Cyclisme (“Cycling Canada”, 2018). The association’s logo is seen in various print and digital applications. The Cycling Canada logo is “carried through all of the Canadian Championships” event branding, trademarks, campaigns, venue advertising, social media, websites, corporate stationaries and documents, packaging, medals, trophies, staff uniforms, apparel merchandise, bicycle parts, cycling uniforms, jerseys, and equipment. The association does not have a brand guideline document available for public use. While the logo is used in many ways and forms, they are not always successful. The ubiquitous “swoosh” is not only outdated, but is not successful in small screen and print sizes. Due to a dramatic change in stroke sizes, the thinner parts make the cyclist icon illegible. Additionally, while the Cycling Canada wordmark generally performs well on a larger scale, it is unreadable at small sizes. This can be demonstrated on their main website, where the main logo’s wordmark size is purposely increased because their mainstream logo would be impossible to see. Also, the brand does not expand into staff and athletes’ uniforms and equipment. Currently, the brand uses sky blue and white as their main colours with a maple leaf that is different from their logo. It is crucial for Cycling Canada to expand their brand into uniforms in order to be easily interpreted as a Canadian team on a global scale and not interfere with any other country’s colours that may depend on sky blue and white. Furthermore, without the release of a brand guideline with readily available logos for all applications, Cycling Canada does not communicate the desire to spread their initiative or gain interest nationally and internationally through media or marketing. Cycling Canada is a non-profit organization in the competitive cycling market. They are reliant on gaining the interest and involvement of recreational cyclists, athletes, volunteers, and fans and spectator. Through the increase of such, Cycling Canada is able to create a greater presence on the national and global sporting market. Cycling Canada is greatly dependent “on the generous support of sponsors, donors and fans to help develop and deliver the next generation of world-class athletes” (“Hop On! — Cycling Canada”, 2018). In 2016, John Tolkamp states that the association faced a “unexpected and unplanned significant financial deficit” and that increased donations helped overcome this downfall. Through live nation-wide and global scale events, such as the Pan American Games, the association is able to collect funds. Cycling Canada does not target a specific market for donors and accept any type of help, whether it be from families, athletes, fans, or large corporations. In addition, sponsorship is very prominent and highly advertised within events and uniforms. Official partners include Alphamantis Technologies, Argon 18, Bear Mountain, Global Relay, Government of Canada, Lexus, LOOK, Louis Garneau, Mattamy Homes, and Top Drawer Creative (“Cycling Canada”, 2016). Various campaigns have helped to gain the interest of spectators, novice cyclists, and even elite athletes. For instance, Hop On Canada targets a wide audience, from athletes, fans, and volunteers. The Hop On Canada website instructors site visitors on “How to hop on”, including where to find bicycle rentals within your province or territory, community events, buying fan merchandise, and an interactive component. Cycling enthusiasts are given a space where one can “track [their] progress, improve [their] stats and discover new riding experiences through the Cycling Canada club on Strava” and join “a growing online community of other passionate cyclists who upload their activity and participate in organized rides.” Cycling Canada does not only encourage competition and championship performance, but the gathering of a community through cycling, whether it be in-person or through digital interaction. By creating the presence of community involvement, competition, and collaborative engagement, Cycling Canada creates a leading image in the cycling market (“Hop On! — Cycling Canada”, 2018). Although Cycling Canada is the official and leading association for competitive cycling sports within Canada, duplicate organizations with similar and varying mission statements exist. Cycle Canada is family-run non-profit organization, created by Bud Jorgensen and Margot Jorgensen in 1988. Their main focus is to create a number of cycling events, which aim to bring together a community in order to socialize and discover new Canadian areas. The Jorgensens are famous for founding various Cross-Canada cycling events, such as Tour du Canada and BiQue Ride. The couple expand their roster through travelling and promoting their organization, which gains the interest of many spectators who watch them cross the roads and paths in their areas. Bike tour photography from the Cycle Canada website. Aside from booking tours on bicycles, Cycle Canada is strongly involved in community work, such as organizing “custom tours where funds are raised for a charitable cause or for a non-profit club” (“Cycle Canada Bicycle Tours”, 2018). Cycle Canada’s visual identity also depends on the use of Canadian colours. 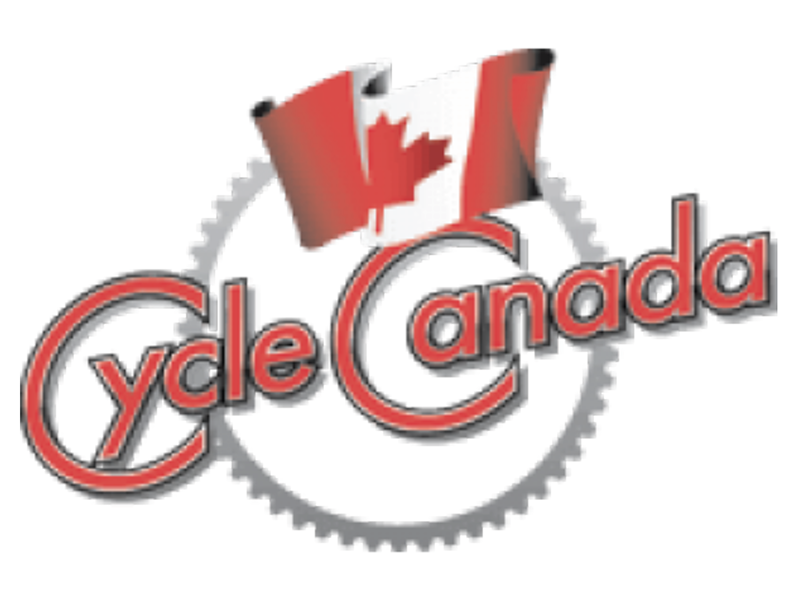 Instead of using the image of a cyclist, the organization uses a chain ring in the centre back to unify the wordmark and Canada flag. Cycle Canada does not necessarily communicate the idea of community involvement. Cycle Canada current logo (2018). The logo can be interpreted as a bicycle shop, as they highlight bicycle parts rather than their mission statement. Unlike Cycling Canada, the association highlights athletic performance and movement through the imagery of a cyclist. 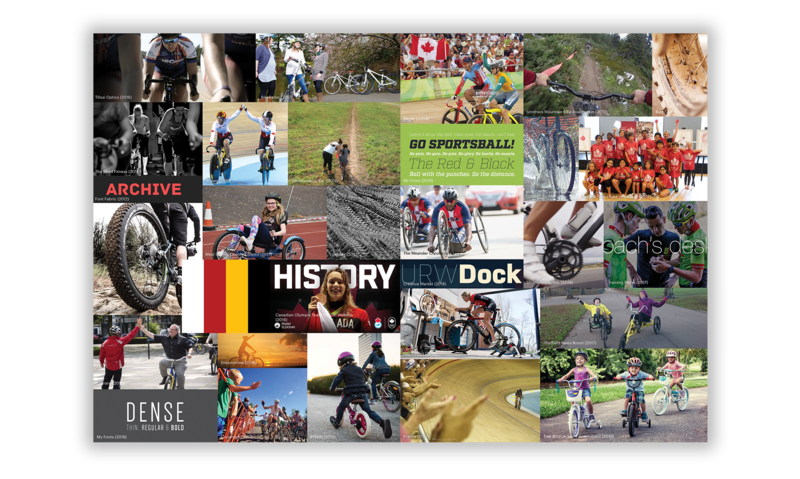 The Cycling Canada visual identity may attract those who are more passionate about the sport of cycling, under a variety of ways (BMX, Track, etc.) as opposed to just recreational strolls with no overarching obvious initiative. USA Cycling is a non-profit association and is the governing body for competitive cycling within America. They share the same mission statement with Cycling Canada for the basis of the United States. USA Cycling provides opportunities for cyclists who wish to participate as individual or team racing, or community riding. Similar to Cycling Canada, USA Cycling competes in BMX, cyclo-cross, mountain bike, road, and track. Aside from athletes, enthusiasts are also given the change to volunteer, run an event, attend as a spectator, find a club on-the-go, and even participate as a mechanic or coach (“Race With Us”, 2018). With regards to visual identity, both USA Cycling and Cycling Canada demonstrate strong patriotism. 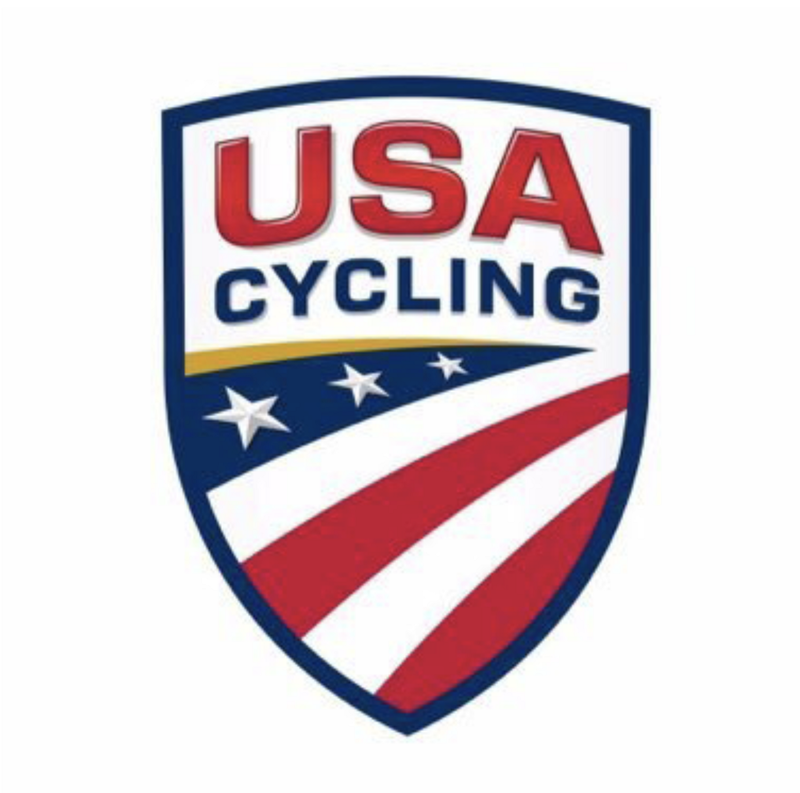 USA Cycling current logo (2018). USA Cycling uses a crest to collect its wordmark and flag imagery, parallel to how Cycling Canada relies on the maple leaf to do the same. USA Cycling uses an emblem as a strong indicator of rewards or badges due to competition. In comparison, Cycling Canada does not demonstrate competition with their identity, and relies on the imagery of a swift cyclist to show speed and intensity, which is a common essence in sports. A look into the use of language and openness on the USA Cycling website. It is evident that cycling is referred to as a life cycle according to Cycling Canada. It is an organization that revolves around one’s life as opposed to simply just a hobby. They demonstrate cycling as having a total effect on one’s life development, whether it may be physically or mentally. Cycling Canada has created a culture that is passionate about cycling and understands the dedication and support they receive from not only athletes, but spectators and donors. Cycling Canada also speaks about challenging oneself as opposed to just other bicyclists. It is accepting that motivation and hard work comes from the self and helps one develop and improve their skills. Cycling Canada’s customers are athletes and cyclists of all skillsets, who work with the organization to expand not only its national and international reputation, but to improve upon their own knowledge and experience of cycling. Athletes pay membership fees for provincial or territorial governing bodies and willingly attend events in order to improve competitively (“Provincial / Territorial Cycling Associations”, 2018). Athletes have the highest point of contact with Cycling Canada, as they pay to not only use their cycling services, but also become representations of the brand itself if they choose to compete in large-scale events such as the Olympics. The organization serves the athletes needs by providing all the coaching, training, and social support in order to improve and compete. Additionally, fan bases are customers to Cycling Canada, as they may purchase merchandise or pay to attend events (“Products Archive”, 2018). Spectators may discuss the organization and promote it further with friend, family, and social media to develop a larger audience for Cycling Canada. Discussion, engagement, and interaction with customers generates potentially more customers. The organization serves fans’ needs by providing them with unforgettable event experiences and the suitable environment for cheering and encouraging competitive spirit. Fans pay for excitement, athletes provide this service through their racing, and Cycling Canada is the host for all of this to be possible. Donors, volunteers, and sponsorship are critical clients, as they provide the funds and collaboration that allows for helping Cycling Canada function. All donations, whether they are in small or large quantities, from unfamiliar or large corporations, help Cycling Canada provide funds to improve facilities and athletic programs. Various sporting events show off sponsors on advertised athlete and staff uniforms or venue boards to demonstrate their appreciation for help. As larger corporations are involved with Cycling Canada, other corporations are attracted and share the desire to become clients as well. Additionally, volunteers help organize events and perform tasks that aid in the management or improvement of resources. Volunteers help to spread Cycling Canada’s values and demonstrate community reach. 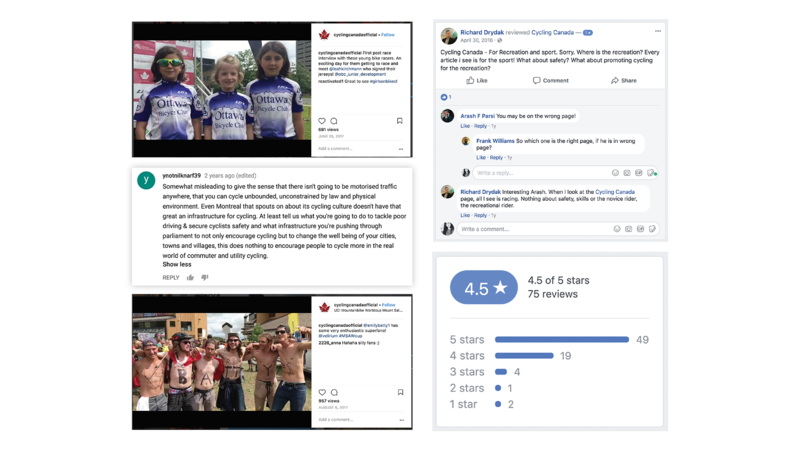 Figure 3: A collection of positive and negative comments, photographs, and reviews of Cycling Canada, all derived from their Instagram, Facebook, and YouTube pages (“Cycling Canada”, 2018). As seen in Figure 3, public opinions for Cycling Canada are mostly positive. Their social media presence demonstrates a great variety of exposure for cyclists of all skills, ages, and experience. However, a common complaint is the lack of safety in competitive cycling. Not only are athletes shown in varying events, a sense of community is shown. Negative comments about Cycling Canada demonstrates the public’s concern for safety. Customers believe that the organization is encouraging reckless behaviour for athletes and do not provide them with safety measures. Additionally, customers believe that the organization should tackle more advocacy concerns, such as cycling safety for recreational biking as opposed to competitive cycling, which is depicted as unsafe for novice participants. There is an irony in the message that Cycling Canada provides in their Hop On Canada campaign: They are encouraging the nation to bike on roads, but there is a lack of suitable infrastructure and shared road space for such an activity. As a result, customers question whether Cycling Canada really does have cyclists best interest. A major branding problem with regards to visual identity relates to the lack of brand guidelines, consistency, or even use on critical applications, such as uniforms. This has caused every governing province and territory to appear visually separate to Cycling Canada. As seen in Figure 1, all organizations’ identities do not speak to each other. This causes a major confusion for potential customers who are trying to understand how the Cycling Canada association works. Instead of dividing each province and territory and not showing customers how the association functions, a solution would be to create a unified design system that uses a stagnant element within the logo with the addition of an element that changes based off of governing location. Another brand problem is how Cycling Canada fails to appeal to the community or novice cyclist. While the Hop On Canada campaign has been successful in initiating interest, many unexperienced cyclists are concerned about safety and lack of community areas for cycling. CAN-BIKE and other training organizations are not the main focus of the current Cycling Canada brand, and are always considered a second thought. This shows that Cycling Canada is too focused on using all their resources to train elite athletes, while ignoring the ‘community aspect’ that they speak about through donations and volunteerism. This goes against Cycling Canada’s values, “… diversity should be respected: cycling is a sport for all” (“Vision/Mission/Values”, 2018). Aside from athletes, fans may not want to encourage or be involved in a sport that disregards inclusivity and endangers public safety. Moreover, the current branding does not speak to future customers: the youth. The current branding is outdated, the website focus is biased, and does not aim to encourage potential cyclists to become an elite Olympian one day. In order to encourage the future participation of customers, it is crucial that Cycling Canada change the way they allow customers to see them. Cycling Canada may be successful in sending off athletes and winning events, but they must let customers know that it is possible to reach that level with the help of their training and facilities. The aim is to present Cycling Canada as a diverse association that encourages community participation through various career opportunities, programs, and events targeted to all ages, experiences, and skillsets. Create an appealing identity that communicates to not only elite athletes, but also to novice cyclists. Experienced athletes should be used as motivators for recruiting and inspiring communities to integrate cycling into their lifestyle. It should be marketed on contemporary spaces, such as social media or community/sports centres, as well as uniforms, bicycles, and equipment, which provides the message successfully spreading across various age ranges of all skillsets. Advertise the importance and appreciation of community support through the visual identity: Whether it be through volunteerism, fan attendance and engagement, or donations. Achieving a visual system that unifies the Cycling Canada association with all its governing provinces and territories, but also works for representing official Cycling Canada events, programs, and campaigns. The visual system must also leave room for sponsorship integration, as they are a necessary element in funding the organization. Emphasize that cycling is more than a hobby, but a way of life that teaches self-discipline, respect, inclusivity, and always pushing oneself to always improving. While the competition is always seen against other cyclists, one should focus on motivating oneself with the help of training and practice. Challenge is defined as “a task or situation that tests someone’s abilities” (“Challenge”, 2018). Cycling Canada encourages cyclists and athletes of all skillsets to train and always urge themselves to improve on their talents, whether it may be for a competition or independent motivation. Community represents “the people of a district or country considered collectively, especially in the context of social values and responsibilities; society.” It is “the condition of sharing or having certain attitudes and interests in common” (“Community”, 2018). Cycling Canada requires an increase of shared national interest, whether it may be from cyclists, fans, volunteers, or donors, in order to grow the sport of cycling. Devotion is showing “love, loyalty, or enthusiasm for a person or activity” (“Devotion”, 2018). Cycling Canada displays the sport of cycling as a way of life for all Canadian athletes and fans that contributes to the development of one’s social spaces and self-discipline. The following mood board expresses all three essence words of the brand in order set a new direction for the re-design.